Sometimes called “termite inspections”, this specialized inspection looks for damage caused by any type of insecta, primarily termites that feed on, and nest in, the wood that supports your home’s frame, porch, patio, flooring, ceiling, and other places. Of course, not all wood-destroying insects are termites. Ants, bees and beatles, and various larva are also known for making a buffet of your home’s wooden elements and thereby compromising the soundness and integrity of your home’s ability to support itself. The damage caused by wood-destroying insects can certainly lead to the sharp devaluation of your property’s value as well as increasing the danger for occupants. 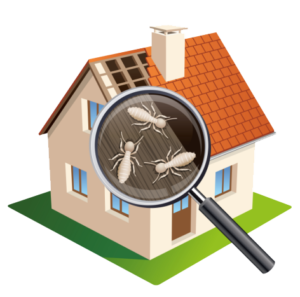 Your Premier Long Island Termite Inspection Company | Let this experienced e-Spection Home Inspector help keep you from buying The Money Pit. We’ll alert you to any and all health or safety issues and maintenance needs of the home you’re looking to buy. Owned and operated by inspection specialist, Ernesto Malanga, who prides himself in being committed to following high standards and providing professional service to all of our customers. Schedule your Long Island Termite Inspection Today.